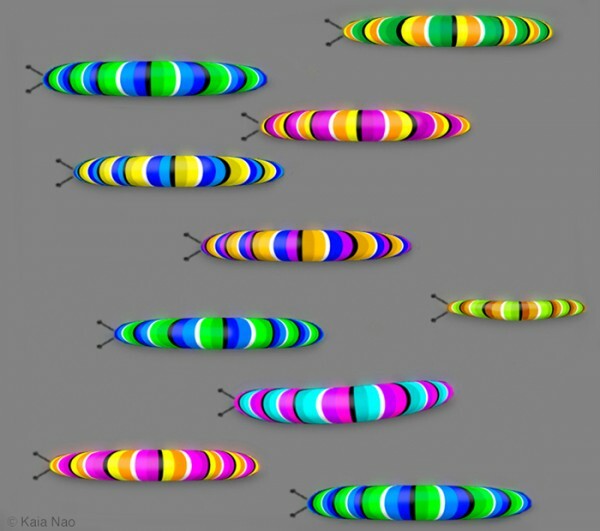 We have featured terrific motion illusions from optical artist Kaia Nao in the past. 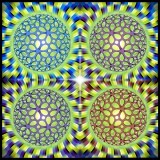 If you missed them, you may want to take a look at the floating star illusion and tunnel vision. Below, he has created a design that features ten very colorful caterpillars. 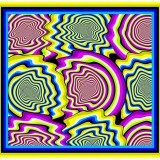 When you look at the entire image, do they appear to be moving or inching forward?